Mumbai: Having proved his credentials as a batsman in Australia four years ago, Virat Kohli returns for a series Down Under that could well define his legacy as India captain. Pundits once bracketed Kohli alongside Australia's Steve Smith, Joe Root from England and New Zealand's Kane Williamson as the batsmen who would go on to dominate world cricket but the India skipper's prolific run-scoring form and consistency has set him apart from the rest. Kohli, who turned 30 last month, is the world's top-ranked batsman in both tests and one-day internationals, with over 1,000 runs in both formats in the calendar year. Despite his achievements with the bat, Kohli has failed to achieve the success he craves as captain. India's home form remains strong, they last lost a test series at home in 2012, but Kohli's hopes of winning more series on foreign soil have been dashed with defeats in South Africa and England this year due to a lack of batting support. He was the top scorer between both sides in South Africa with a hundred and a half century in a 2-1 series defeat, while in England he fared even better with two centuries and three fifties but still the tourists were beaten, 4-1. 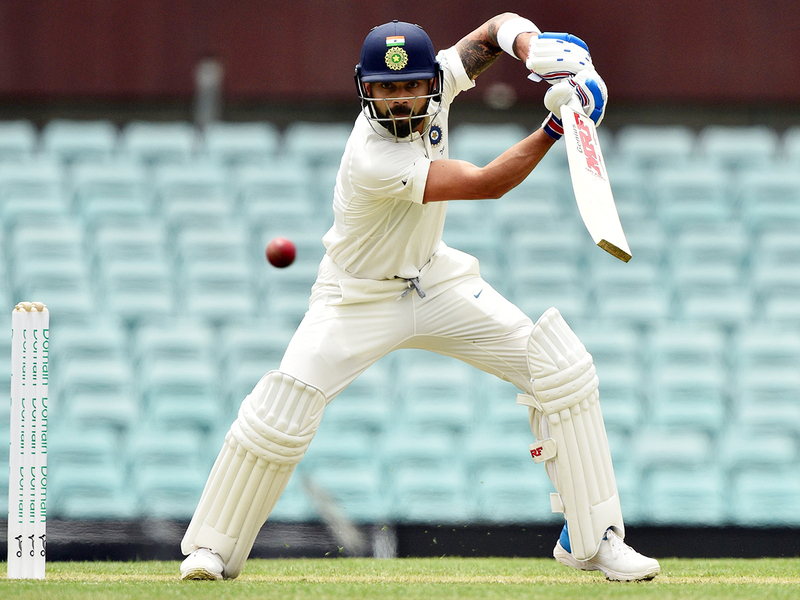 The last time India toured Australia in 2014-15 Kohli scored four centuries in as many tests and notched 692 runs at a jaw-dropping average of 86.25. India ended up losing 2-0. Kohli took over India's test captaincy during that series after Mahendra Singh Dhoni retired from the longest format and this time around he will be looking to achieve something no India captain has managed before - a series win in Australia. With their opponents struggling to recover from a ball-tampering scandal that led to long bans for former captain Steve Smith, opener David Warner and batsman Cameron Bancroft, India may never have had a better chance to claim victory. Not since Sachin Tendulkar retired in 2013 has an Indian cricketer commanded the adulation Kohli enjoys. He became the fastest to reach 10,000 ODI runs in his 205th innings in October, eclipsing Tendulkar's record by an astounding 54 innings, and his performances have earned him rock star status in the cricket-mad country of 1.3 billion. Kohli's single-minded drive for excellence mirrors that of Tendulkar, who accumulated over 34,000 runs and 100 centuries in a 24-year career. Like Tendulkar, Kohli has a near-flawless technique which helps him tackle pace and spin with equal ease, and India look to him every time they hit choppy waters, as they did for two decades with the retired batting great. In the run-up to the four-test series, which starts in Adelaide on Thursday, Australian pundits have been asking how the hosts can go about stopping Kohli but few have been able to provide a satisfactory answer. Before arriving on Australian shores, Kohli hit a test hundred and three consecutive ODI centuries against the West Indies at home. He hit a sparkling 61 late last month to help his side to a series-levelling win in the three-match Twenty20 series against Australia. It will be no cakewalk for Kohli though. Australia's bowling attack, comprising pace trio Mitchell Starc, Josh Hazlewood and Pat Cummins and spinner Nathan Lyon, is still something to be feared and the hosts believe they are good enough to beat any side in their home conditions. Keeping Kohli under lock and key will be crucial if the hosts are to extend India's drought Down Under.